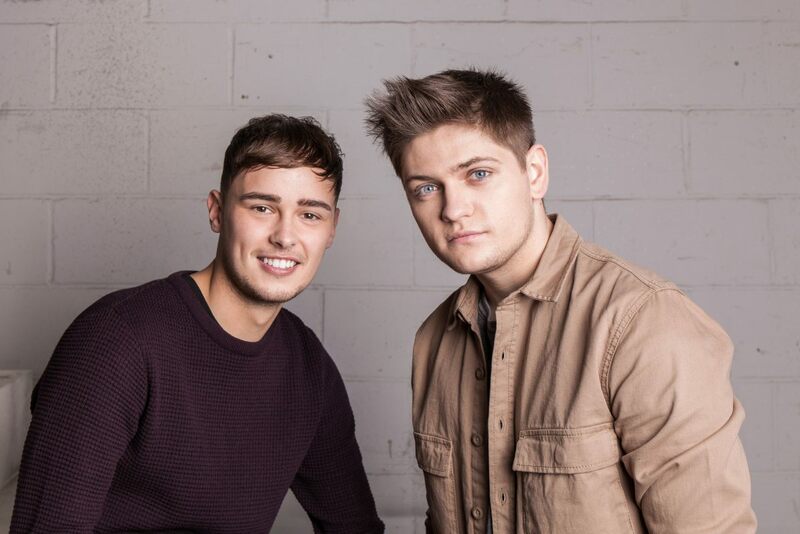 Joe Woolford and Jake Shakeshaft met during the 2015 series of The Voice UK. Jake was part of team will.i.am but lost out at the Battle rounds, whereas Joe was a finalist for Rita Ora's team. Jake aged 20 is from Stoke-on-Trent, whilst Joe aged 21 is from Ruthin, Wales. Since the show the two became firm friends and decided to pair up in order to enter Eurovision: You Decide. With a passion for music since the age of 9 and coming from a musical family in which members have performed at International level, Joe is continuing with family tradition. Joe's first language is Welsh and he started signing in a Welsh voice choir. His inspiration occured at a young age when he was first influenced by Tupac Amaru Shakur also known as '2Pac'. This led to him putting pen to paper and writing lyrics that strike a chord with others about his own personal life. Joe started rapping at the age of 13 and became known to his community as the ‘Ruthin Rapper'. He gained a big fan base and often gets stopped in the street for selfies. The songs he writes have depth and emotion that most can identify with during hardship, happiness and saddness. However, he has now decided to hold off on his rapping to concentrate on his singing career, still working as a PE assistant at his old secondary school. Joe has reached the Grand Final of the Open Mic UK competition and competed in The Voice 4 in the team of Rita Ora, where he reached semifinal stage. Jake Shakeshaft also competed at the Voice 4, as a member of will.i.am's team on the show, but was eliminated in the first knock-out round. He has been playing guitar and singing since 2012 and played his very first gig after only six months of learning to play the guitar. Jake was studying Music Technology at NULC & working part time at a garden centre but quit to concentrate on being a full time musician. 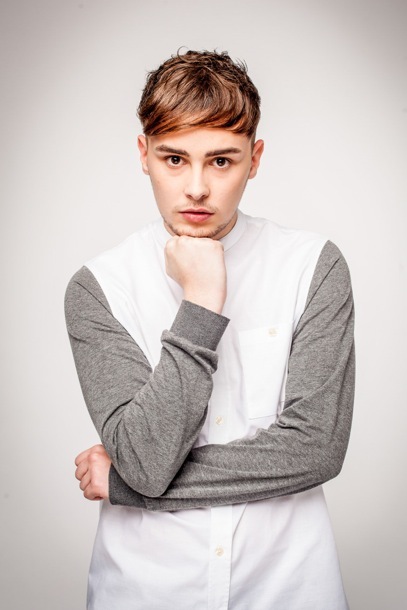 In August 2014 he was a finalist in NUA Entertainments Next Big Thing which was held at The Cavern Liverpool. 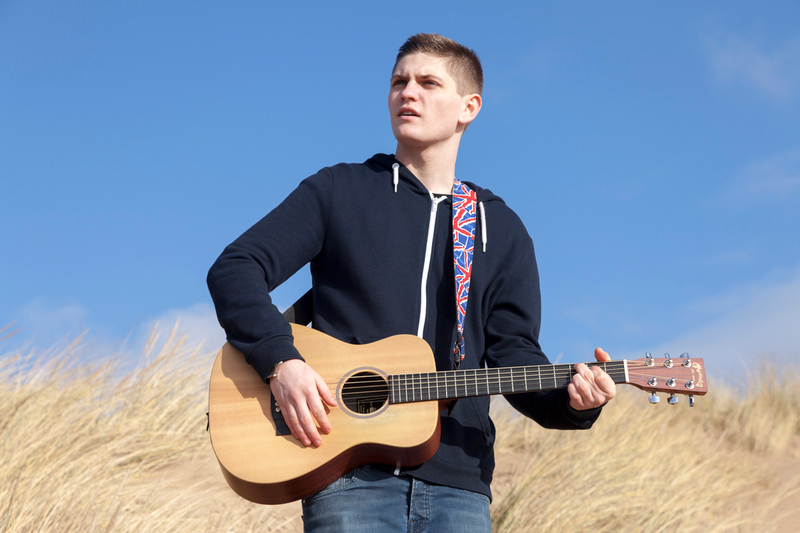 Along with writing & performing his own songs he also covers songs by artists such as Ed Sheeran, Oasis, The Artic Monkeys, Jake Bugg, The Stroke's, Nina Simone, Black Keys, Avicii plus many more. Jake credits Ed Sheeran with the reason he learned to play the guitar and says he has made him the artist he is today. Behind the scenes, true friendship struck up between the pair, united by a deep love for music, Liverpool Football Club and Nandos. Both Joe and Jake have an eclectic musical taste, citing Bob Marley, Måns Zelmerlöw and Rudimental as their musical influences. "We were rivals on series four of The Voice but we actually hit it off straight away as friends. We started working, gigging and writing things together and then we found a manager and started looking at options to break us as a duo. We were presented with the idea of Eurovision and seeing as we're both big fans of it, we jumped at the chance!". On their friendship Jake says "Joe is genuine, generous…. he'll put anyone else before himself, and he's funny". While Joe says "Jake is driven, genuine and honest. If I mess up he'll tell me straight! The Voice experience brought us together as friends and we're looking at our careers differently now we're working with one another". 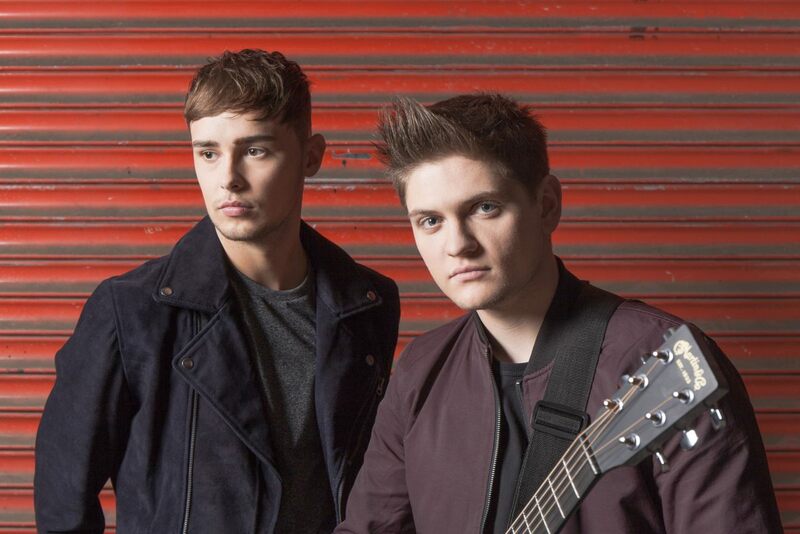 "We're really hoping the public get behind us - representing the UK at Eurovision is an absolute dream for us. Singing You're Not Alone, we're trying to get the universal message of togetherness – having support in times of need and being there for others. There's a strong feeling of togetherness and unity in the song, which of course suits Eurovision! We're very similar and the more time we spend with each other the more we get on.". "You're not alone" was co-written and produced by Matt Schwartz, the man behind Kylie Minogue‘s US number 1-song Timebomb. UK Eurovision commentator Graham Norton said he thought You're Not Alone was a "really catchy pop song" while Robbie Williams tweeted that he was proud of guys after the the public voted for them to represent the UK. "We can't overestimate what an honour it is to be representing the UK in the biggest musical contest ever. It's like a dream come true. The impact of Eurovision is huge, far ranging and it touches so many fans around the world – to perform on that stage is the highlight of our career. It blows our minds to know that millions of people will be tuning in. We can't wait to get to Stockholm and experience the atmosphere for ourselves. We want to do everyone proud, whether you're watching at home or cheering from overseas. We look at our favourite Eurovision acts like Måns Zelmerlöw and Loreen, and would love nothing more than for the UK to smash it like them. It's time we looked like proper contenders in Eurovision again, don't you think?" BBC has also published official Q&A session with the members of the duet. - How did you get together as a duo? Joe: We first met when we both took part in series four of The Voice UK. We met backstage and got on really well, so kept in touch after that and decided that we wanted to form a duo, so it all started from there. Jake: We had a few options of what to do and our management suggested trying out for Eurovision and we just went for it. We didn't have to think twice. - What is your song, ‘You're Not Alone' about? Jake: The song is an up tempo anthem that is all about togetherness and love and it really fits in well with this year's Eurovision theme which is Come Together. Joe: It's energetic, it's fun and it's about friendship. - Are you a fan of the Eurovision Song Contest? Joe: It's a great night for music and I loved last year's show. After Måns won last year I went out and bought his album so I am definitely a fan. Jake: We are both fans of the show and always have been. If we weren't taking part we'd be at home back in the UK watching with our families. I'm a big fan of Loreen and even though she won back in 2012 you still hear the song everywhere today and it still sounds fresh. - Since winning Eurovision: You Decide back in February you've been very busy promoting the song not just in the UK but abroad too. What has been the highlight of your Eurovision journey so far? Joe: It's all been brilliant but my highlight so far was when we went on The Graham Norton Show. Being on a show with a line up including Meryl Streep and Hugh Grant was just something else! Jake: We're both fans of that chat show and have watched it for years. To sit on the couch after performing and just have a laugh with people of that calibre was awesome. We announced on the show that we wanted people to send in their selfies to be part of our staging on the night of the final so we kicked things off by getting a selfie with Hugh Grant, Meryl Streep, Keeley Hawes and Graham Norton, crazy! - When you have been on your travels have you met any of the other Eurovision contestants from other countries? Joe: We've met a lot of the contestants now and as well as seeing them off stage it is great to see everyone perform. The thing about Eurovision is that you can easily forget it's a competition as everyone is so friendly. Jake: It's true, everyone has been really cool and we've loved having the chance to meet everyone along the way. - The Eurovision Song Contest is one of the biggest televised events on the planet. What has been the biggest surprise so far? Joe: To see how committed and passionate the fans are is just incredible. They are so engaged with the competition and the show is their life. Jake: I think it's fair to say that you don't get fans like it anywhere else. They are brilliant and definitely help make the show the success that it is. 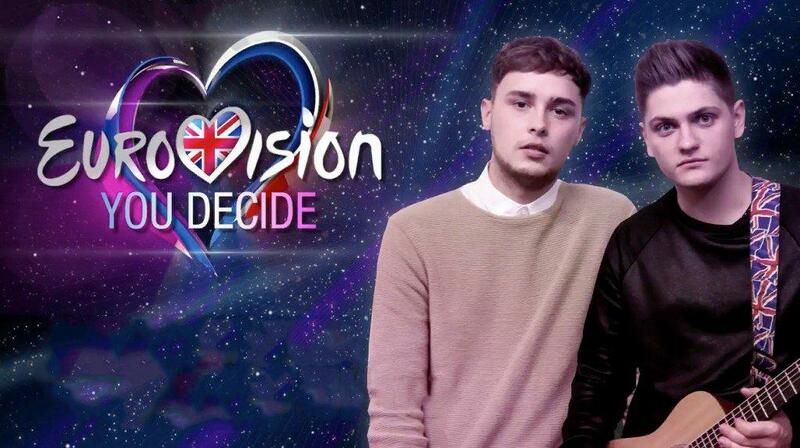 - How does competing in Eurovision differ from competing on The Voice UK? Joe: On The Voice you are representing yourself but on this you are representing your entire country so there is so much more weight on your shoulders. Jake: On The Voice, you go through the motions of a TV talent show and record what you are told when you are told to do it. With this, you tour different places, visit fans, see different countries and get to see the world too. You get to experience different types of people and cultures and it really is amazing. Joe: The other great thing is that with this we have each other so we are sharing the experience. We get on so well and have a great laugh and it's great to have each other. - You've met many people along the way so far, what do you think is the best piece of advice you've been given? Joe: The best advice we have been given is to cherish every moment and enjoy the Eurovision experience. It's amazing to think that it will go down in history that we have been part of the biggest music show on the planet. Jake: Emma Bunton told us to enjoy it and feed off the energy of the crowd. After the You Decide show, Katrina who won for the UK in 1997 told us that we are going to absolutely love it and that is what we intend to do. - Do you have any rituals before going on stage? Joe: We always pace together and try to channel any nervousness into adrenaline. I am also quite superstitious, but I am not revealing what my superstition is as that will jinx it! Jake: We always try to make each other laugh before a performance as that helps to calm our nerves! - Why is the Eurovision Song Contest important to you? Joe: We can't overestimate what an honour it is to be representing the UK in the biggest musical contest ever. It's like a dream come true. The impact of Eurovision is huge, far ranging and it touches so many fans around the world - to perform on that stage will be the highlight of our career. Jake: It blows our minds to know that millions of people will be tuning in. We can't wait to get to Stockholm and experience the atmosphere for ourselves. BBC has announced it's broadcast plans for this year's Eurovision Song Contest. Semifinals will be aired on BBC Four. Mel Giedroyc and Scott Mills will provide commentary live from The Globe Arena in Stockholm. "I think this year we have sent an entry that really fits in with the other contestants. A lot of European countries send artists from The Voice or reality shows and as a result a lot of them are young singers that have had to perform live and well because they are being judged on it on live television. If you look at some of the acts this year - Sweden he's 17, Francesca from Italy is 21. I think it's important to send someone young this year and we have done that with Joe and Jake. It's a song that's very catchy from the outset and when you look at our entry and everything about it, the song doesn't look odd or out of place so I think we are in with a good chance", says Scott Mills. "This is the sixth year I will be doing the commentary, so I know what to expect now. I'm not nervous anymore but on the morning of the show I wake up and get the feeling that you get on Christmas Day - that excited feeling - so it's nice to get that twice a year, not just once. I love it, it's so hard to describe. It's almost like a football atmosphere when you're in the stadium itself and its fever pitch. It's like an important sport event and you can't beat the Eurovision atmosphere in the arena that night", he explains. "For me, Eurovision is just an escape from reality for a week, whether you are watching it on TV or in the host country. For me you go into the bubble and you don't hear much apart from Eurovision music. You don't hear about anything else that's going on the in world and actually for a week its nice. Also everyone is there for the same reason and it's the friendliest place on earth". "It's the most fun working with Mel", he says about his co-presenter. "I had only met her once before and you know when you just click with someone immediately. We had been together for about two minutes and we were laughing and I thought this is a good cohost. She's totally into Eurovision like I am. When we're not working on it we are talking about it, geeking out about it and sharing comments about the songs, the artists and what we think and any gossip we have. I'm looking forward to my week in Stockholm with Mel as if Vienna last year is anything to go by it's going to be hilarious. One of the best things we did last year was go around the streets of Vienna on a horse and cart filming an insert for the semi-final and as Mel deals with a lot of cake she was holding a massive gateaux which we were meant to eat together romantically but as we were going over cobbles the cake went all over her dress, so in the end we just ate it!" Speaking about his favourites, Mills says: "I like Amir from France a lot as I think it's a really good song. You don't realise it at first but I think Sweden has a deceptive and very catchy song and he looks like a Swedish Justin Bieber. I also really like Kaliopi from F.Y.R. Macedonia. She is a massive star in the Balkans and has a massively powerful voice. The song is in Macedonian so you won't really be able to sing along but it has a great chorus". Grand final will be broadcast on Saturday 14 May at 8pm on BBC One. 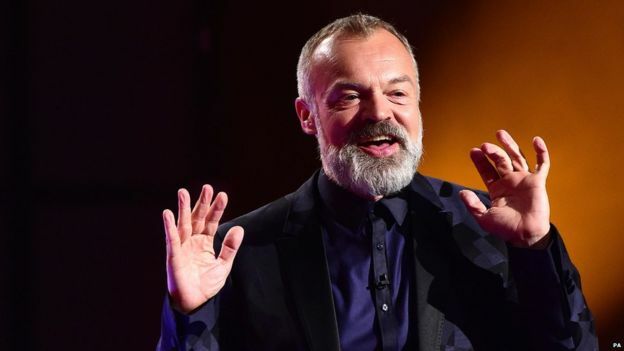 Graham Norton will provide the commentary on BBC One for Europe's biggest party night of the year. "I think what's good is there was a public vote to get Joe & Jake on board, so the public can't complain and say “well we never wanted them” because clearly someone wanted them! I think the public did a good job to be honest. It is a really credible pop song and the boys deserve to do very well. 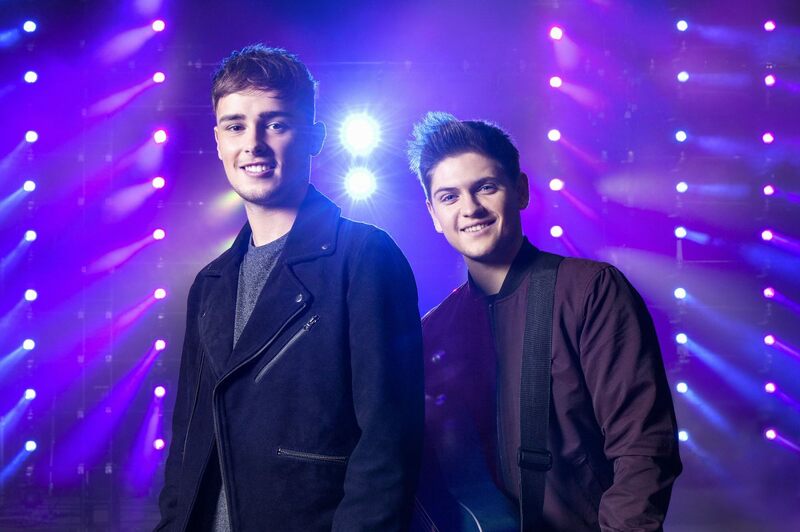 Joe and Jake are charming and are good looking young guys, they should be able to build up a good fan base in the weeks leading up to the competition", says Graham Norton about UK act. "At song number nine this year the host country Sweden will be performing and I will be encouraging everyone to raise a glass in memory of Sir Terry Wogan. For those who aren't aware song number nine is famous because Sir Terry always warned me not to have anything to drink until that point. It has all worked out very nicely as Swedish people in the arena will be cheering their song in the stadium as everyone back in the UK will join me and cheers the memory and legacy of Sir Terry Wogan. Sir Terry Wogan will always be associated with Eurovision. He took a role that wasn't really a role at all and he totally transformed it into the job it is today. When I am doing the commentary I still hear Sir Terry in my head as I am sure lots of other people do too. I think this year will be bittersweet because we will all be thinking of Terry and I am sure I will say a few words about him as the night goes on as it is a night that will forever be associated with Terry Wogan", explains Graham. The Ken Bruce Show will be broadcasting live (9.30am) from Stockholm and will be joined by guests including last year's winner Mans Zelmerlow and this year's UK entrants Joe and Jake. Paddy O'Connell will be looking at some of the best and worst of this year's entries. And the Swedish Ambassador to the UK, Nicola Clase, also joins Ken while twice contest winner for Ireland Johnny Logan chooses his final two songs in Tracks of my Years. In today's show he will pick his two all-time favourite Eurovision Songs. Graham Norton will be live from 10am with the usual mix of great guests and music. He'll be speaking to Joe and Jake ahead of their big performance and his guests back in London will be chef Phil Vickery and singer/actress Beverley Knight. The last part of the show, as a nod to Sweden's former Eurovision triumph, will be devoted to ABBA, in a special feature called ‘Let's ABBA Party'. 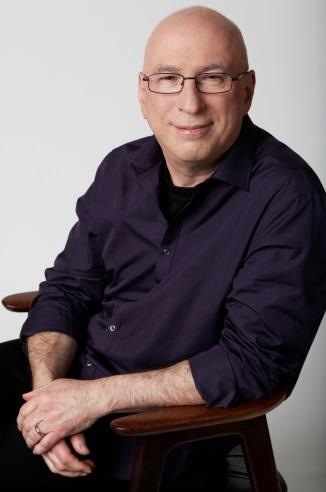 And later that evening, Ken Bruce will be back on the Radio 2 airwaves to bring listeners at home all the action from Stockholm in Eurovision Song Contest 2016 (8pm-10.30pm). "It's the huge nature of the event; it's the spectacle. It's much bigger than anybody realises. It takes over the host city – even major capital cities. If it's a small town it blitzes the place. But even the big places burst at the seams. There is such a wonderful buzz at Eurovision time. I also really like the friendliness of it - the atmosphere is so warm. Everybody gets on – even bitter rivals end up putting their differences aside. The music really binds them together; everyone is happy. Basically it's a week long celebration", says Ken Bruce. "What's so great is that this year song has been chosen by the public – it's the British people's choice. And that is a very good thing. We've given the power back to the people. And they haven't gone and chosen the most ridiculous thing. And you know what, I'm very pleased. They've done a good job and chosen a great song. Joe and Jake are lively, young and charismatic and they have a great look. The song sounds right too. Who knows what the voting will look like this year but we've put a very good effort forward and there's no reason why it shouldn't do well". His advice to the UK acts is to enjoy the moment. "Don't let the pressure get to you. It's a big moment - but it's not the biggest thing in your life. If you're relaxed and do a lively, upbeat performance then that will come across and the audience will believe it. Where we've gone wrong in previous years is that performers have let the pressure of the moment get to them – which is understandable. It can be difficult – Eurovision is a big event. If you think of the number of people watching then it can be frightening. But just think of it as a gig and enjoy yourself. There are lots of people in the hall willing you to do well – not just the massive British contingent but everybody wants you to do well. 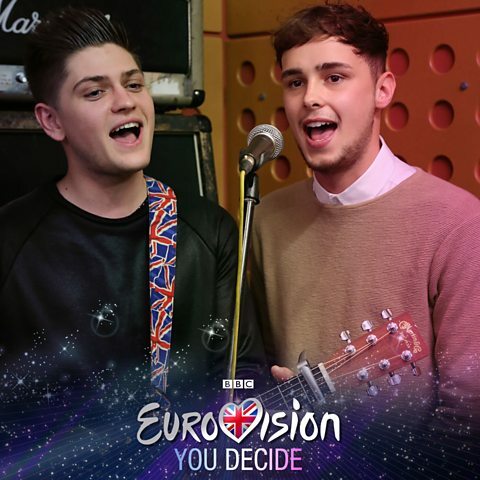 So just go out there and have a great time"
You could be part of Joe and Jake's Eurovision UK staging for 2016! BBC is looking for selfies of you and your friends, mates or family. If successful your picture just might be displayed during Joe and Jake's performance in the Globe Stadium in Stockholm! Make sure each participant can be clearly seen and if you are using a phone remember to hold it horizontally as only landscape pictures will be considered. Email it to eurovision@bbc.co.uk. The UK should stop mocking Eurovision and enter through the qualifying rounds to have any chance of winning again, the contest's producer has said. Christer Björkman, the executive in charge of next month's final in Stockholm, said this year's entry by Jake and Joe would continue the UK's woeful failure to emulate Katrina and the Waves's 1997 victory. Björkman said the mocking commentary tone adopted by the late Terry Wogan and subsequently Graham Norton contributed to the UK's inability to succeed at the event. He urged Britain to swallow its pride, give up the permanent place the nation has been granted in the live final since 1957 and join Moldova and Azerbaijan in the qualifying semi-finals. How UK can win Eurovision? "The song needs to be contemporary sounding, a little bit in the middle of the road and it has to have a simple hook that lasts in the memory. Can it sound like something else? Yes, as long as it's not too obvious. The viewer is not stupid. It's not a singing competition or a song competition, it is music entertainment. It is the performance that lasts in the mind of the viewer but they vote for the combination." "Terry Wogan did the commentary for 25 years and it was always mocking," Björkman said. "Now Graham Norton also has this flippant tone. It doesn't work. It's a lot easier to joke than to win." Björkman, who sang for Sweden in 1992, attacked the UK's failure in front of an audience of record industry executives at a London lecture ahead of the Polar Music Prize, awarded in Stockholm. Afterwards he told the iNews that pre-qualifying gave songs the European exposure they need to win. "I can understand why you don't risk taking that step but if you look at the songs that travel, they start in the semi-final and they become stronger and stronger during the week. Conchita wasn't even mentioned as one of the favourites before the semi-final and then she became a shooting star – that's only because she revealed herself before. And you need to do that.". Block voting by European rivals wasn't the cause of the UK's failure. "That is something you've made up. You sound like the French now. We all love you. We all want you to be good in this competition," he said. "It's just that you don't send any good stuff. Why don't you?" 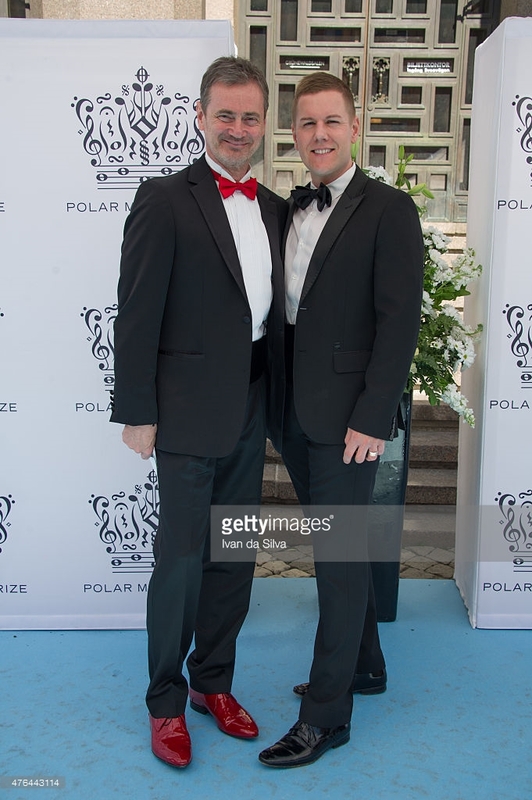 Björkman said: "You have to say ‘we are taking this seriously and we will not stop doing it until we succeed. You have to accept what Eurovision is – it's not a singing competition or a song competition, it is music entertainment." A nationwide contest to find the winning entrant, judged by Simon Cowell and modelled on Sweden's hit selection series Melodifestivalen, would transform the quality of UK entrants, Björkman predicted. The UK should escape the dreaded nul points in Stockholm though. "Joe and Jake is a fairly good song and the boys are charming. It's a step in the right direction but no, it won't win. If you sent another Katrina singing Love Shine A Light, that would make a huge difference." 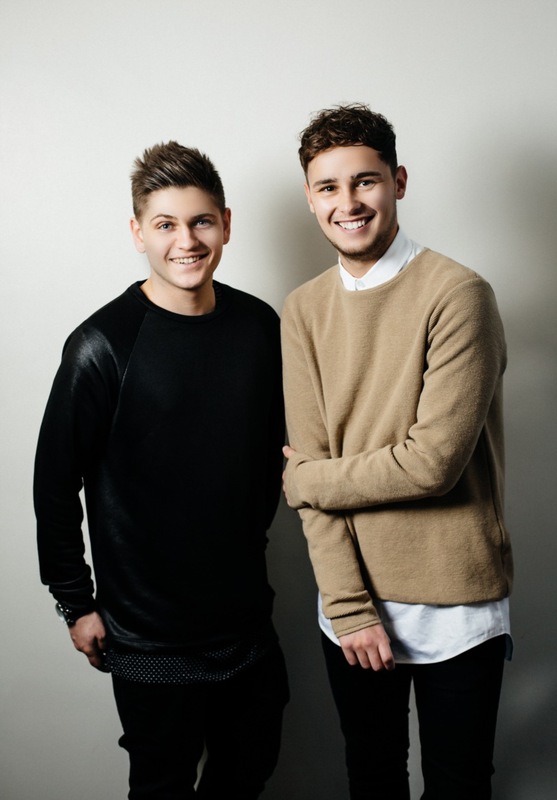 The UK's Eurovision Song Contest 2016 entry, Joe and Jake have signed to Sony Music. 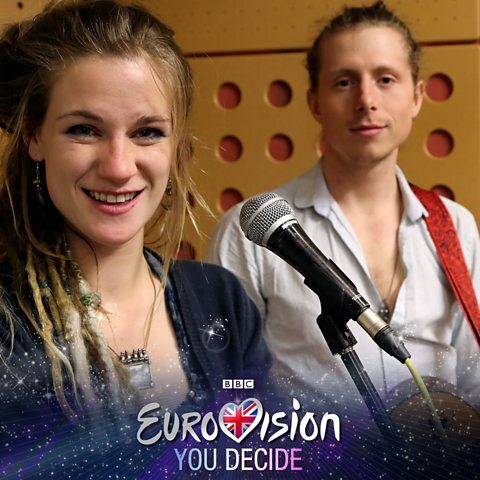 The duo won the public vote on the BBC's Eurovision: You Decide and perform You're Not Alone at the grand final of the Eurovision Song Contest 2016 in Stockholm, Sweden. 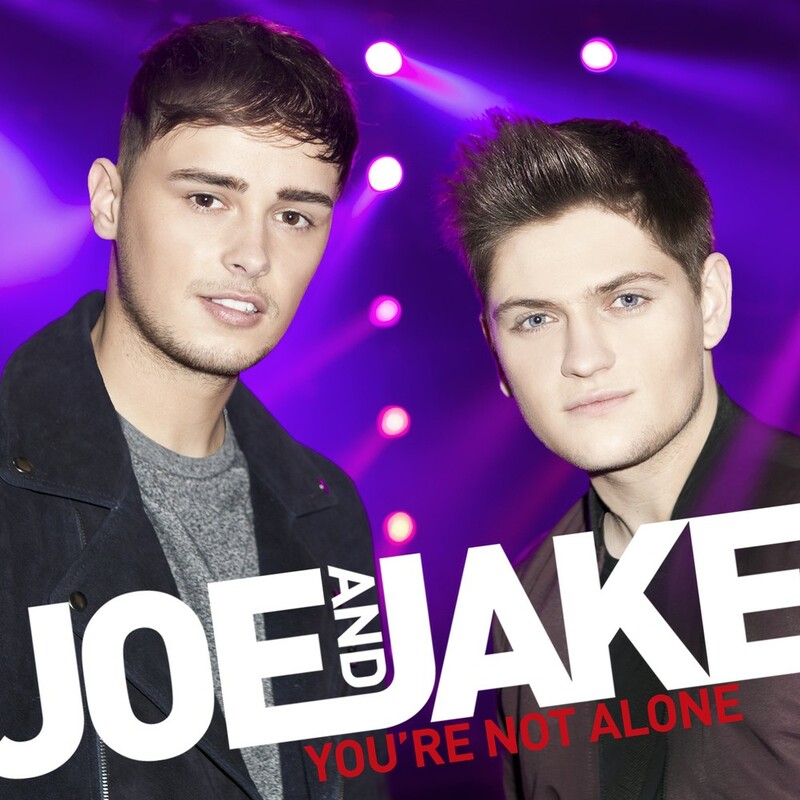 Phil Savill, Managing Director of Sony Music Commercial Group comments, "Joe and Jake are a fantastically talented pair of artists and You're Not Alone is an outstanding song, its no surprise that they were chosen to represent the UK with this track in Stockholm. We are delighted to be working with the guys on making this year's UK Eurovision entry a huge International hit and launching the careers of this amazing act!". Joe And Jake said: "We are so excited to be signed by Sony. This whole experience has been a dream come true and we cannot wait to hit the stage at Eurovision"
On 11 March Joe and Jake have appeared in "Too Much TV" program of BBC 2 with Emma Bunton and Aled Jones. Watch it here. ESCKAZ has met Måns Zelmerlöw on 26 February as he was getting prepared for the performance at the UK preselection show: Eurovision: You Decide. 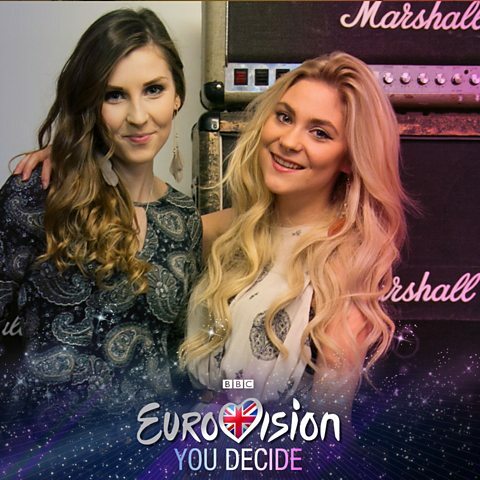 British entry for 2016 Eurovision Song Contest was selected during the televised national preselection final Eurovision: You Decide, which was broadcasted on BBC Four on 26 February 2016. On 30 September BBC has unveiled what was labelled the "biggest song search ever". An open submission process took place. The BBC has invited anyone over the age of 18 (on 1 January 2016) to submit a video of their original song for consideration. The video did not had to be professionally shot and the audio production could be a demo – but it had to be be sung live by the artist who is supposed to be performing the song in Stockholm. Song should adhere to the EBU 2016 competition rules in terms of release date, length and number of people in stage presentation. The closing day for the submissions was Friday 20 November. The BBC recognises that the fan community is a very important element of the Eurovision Song Contest. As such, the BBC has invited the UK branch of the OGAE to assist in the shortlisting of these open entries. According to the information posted by OGAE UK president Aladair Rendall, the OGAE involvement has started in the late November. A ballot was made among the members willing to take part in the process. A panel of 45 members has been chosen, split into five groups, randomly drawn but each made up of people from each age range and geographic location. The panel had selected 25 songs at this stage. Members of the panel were asked by BBC not to reveal their involvement or details of the submitted songs until the process is fully completed. Then there was a further stage of narrowing 25 entries down to 10, and a new, smaller panel of 10 members will be involved. Selection 10 best entries from the open submission has ended the task of OGAE UK. 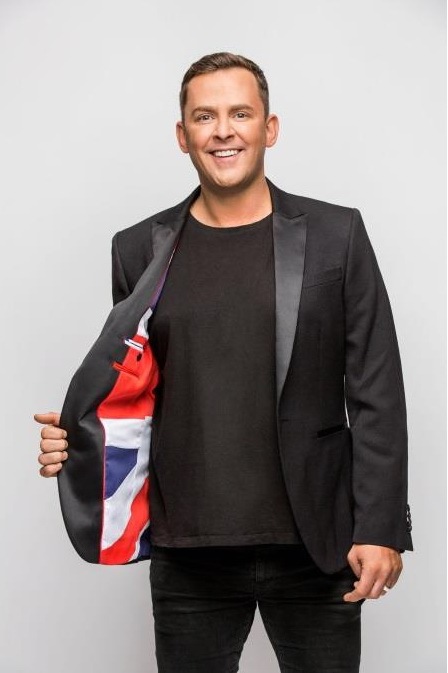 Alasdair Rendall, President of OGAE UK says: "It's a massive honour - and very exciting - for OGAE members to be given a key role in helping to choose the UK's entry for Eurovision 2016. Eurovision fans are never backwards in coming forwards about their thoughts on the UK's performance at the world's greatest music competition, so I'm really excited about the opportunity this offers us to help find the right song to fly the flag for the UK in Stockholm next year"
In addition, the British Academy of Songwriters, Composers and Authors (BASCA) has revived its former partnership with the BBC and run a song-writing competition amongst its members. BASCA exists to support and protect the professional interests of songwriters, lyricists and composers of all genres of music and to celebrate and encourage excellence in British music writing. BASCA has selected it's Eurovision candidates through The Great British Song Competition 2015 (regulations). BASCA could nominate up to three entries to the BBC and at least one song was to be included in the final shortlist. The BBC also was be consulting with music industry experts including producers, artist managers and members of the BPI. The BPI (British Recorded Music Industry) is the representative body for UK record labels, and of BRIT Awards Ltd, which stages the annual BRIT Awards show. Hugh Goldsmith – former MD of RCA and founder of Innocent Records – was acting as Music Consultant to the BBC, principally responsible for overseeing communication with established record labels, publishers, managers, writers and producers, in order to encourage high-level music industry involvement too. Vick Bain, CEO of BASCA, says: "This is a great competition that many of our members have had considerable success with in the past so BASCA is delighted to be partnering once more with the BBC in searching for the UK entry to Eurovision". Songs from all routes of entry were included in a final shortlist, which will be presented to a professional panel and the public, which will have the final say on which song is taken forward to represent the United Kingdom at the Eurovision Song Contest in Sweden in 2016. Last UK representative chosen by public televoting was Josh Dubovie in 2010. 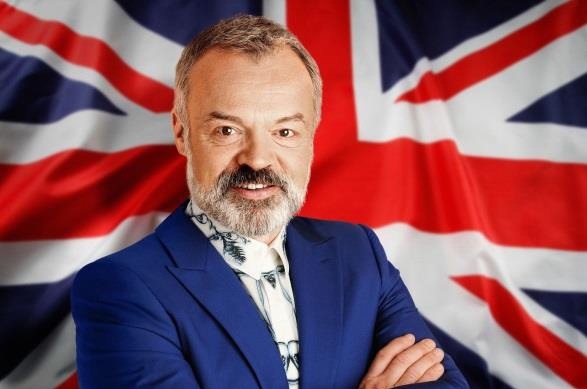 Graham Norton, Eurovision Commentator for BBC One says: "Eurovision is one of the highlights of my year and I love the fact that the BBC is launching its biggest song search ever. I think it really shows that they take the competition seriously and the fact that the public will get the final say on who is sent to represent the UK in Stockholm next year is the icing on the cake!" Hugh Goldsmith, Record Industry Executive and Music Consultant for the BBC, says: "The UK has been home to some of the world's finest artists and songwriters for many decades now and it is exciting to think that, going forward, our Eurovision entry will better reflect the extraordinary writing talent we have in our midst. I have always worshipped at the altar of the song so am hugely energised by the role I've been asked to perform by the BBC"
Guy Freeman, Editor Special Events for the BBC, says: "This year really will be the biggest song search for Eurovision the BBC has ever undertaken. With input from key industry figures and fan associations, plus with the public having the final say, we are looking forward to seeing a true People's Eurovision entry representing the UK at next year's competition in Sweden"
This year's UK entry for Eurovision was decided by a selection show to be aired on the BBC. Eurovision: You Decide showed six short listed acts taking to the stage in a bid to impress viewers at home and a professional panel in the venue. An expert panel of singer Katrina Leskanich, vocal coach and TV presenter Carrie Grant, and staging director Jay Revell were there on the night to offer their thoughts on how the songs could be made to look and sound on stage in Stockholm. However, it is the public who had the final say via a telephone and an online vote. 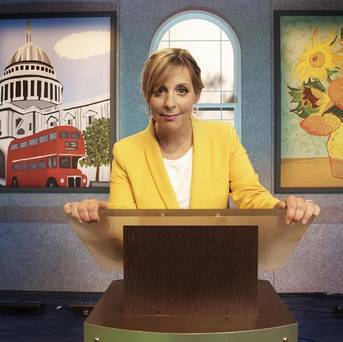 The Great British Bake Off co-presenter Mel Giedroyc hosted the 90-minute programme, broadcast live from The O2 Kentish Town Forum (capacity of 2300) on February 26 at 19:30, featuring performances by the six competing acts before the voting lines open and the public was invited to choose the song and act that will represent the United Kingdom at Eurovision 2016 in Sweden. "I am a huge fan of the Eurovish and am honoured to be hosting this fantastic event," she said. "It's very exciting that the Great British public will get the chance to choose who will be sent to Sweden and I know it's going to be an amazing night.". Competing songs were first played on Ken Bruce show on BBC Radio 2 on 22 February, listen to them here. Current Eurovision champion and Eurovision 2016 co-host Måns Zelmerlöw opened the 90-minute musical extravaganza and sang his winning song from last year's contest, Heroes. Former United Kingdom Eurovision Song Contest entry Katrina was also be performing on the night with the winning song from the 1997 competition Love Shine A Light. Tickets for the show went on sale on January 22 at 10am via BBC Eurovision website. As well as the acts battling it out for the public's votes, the jam-packed 90-minute live show also featured a special look back at some of Sir Terry Wogan's unforgettable Eurovision moments over the years. 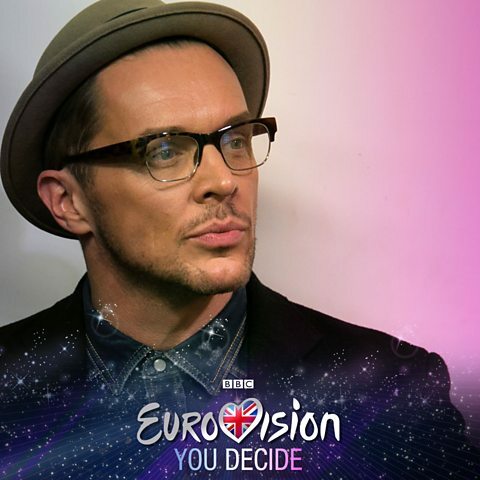 Eurovision: You Decide was Exec Produced by Guy Freeman and Produced by Helen Riddell. Katrina says: "I can't believe it has been nearly 20 years since we won the contest back in 1997. It's definitely time for another UK win in the competition! Eurovision is a very special event and is something that stays with you forever - it's always an honour to perform to such passionate crowds and it is a thrill to be doing it again at the UK National Final"
The programme also heralded the arrival of Eurovision on BBC Four reaching a total of 678,900 (slot average is 167,000), which will also broadcast both semi-finals of the Eurovision Song Contest 2016 live from Stockholm on May 10 and 12, as former home of semifinals, BBC Three, is moving online on 16 February. The final will as usual be broadcast on BBC One on May 14. 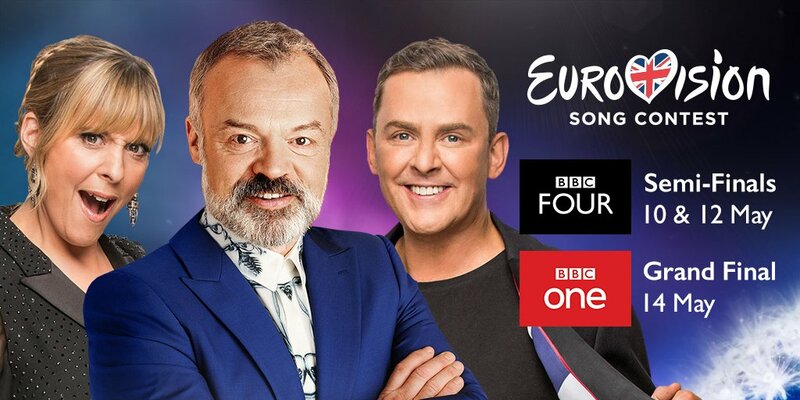 Cassian Harrison, editor of BBC Four, said: "I'm delighted that Eurovision: You Decide and both of the semi-finals are coming to the channel this year. BBC Four is the home of music on TV in the UK and, as any fan will tell you, Eurovision is one of the biggest music events on the planet and is much more than just one night of TV, therefore it is only right that BBC Four is able to showcase Europe's favourite music TV event right here in the UK"
Speaking to Newsbeat, Guy Freeman, the UK's Head of Delegation said: "We need to re-engage and celebrate Eurovision". Eurovision should always be a fun thing but "it's time to take the business of finding a song and someone to perform it very seriously". Вespite recent UK entrants being branded a joke with no chance of winning, Guy says he is "desperate" for the UK to win again. Guy doesn't believe there's snobbery within the music industry when acts perform at the contest. "There's a platform here for you to get your song in front of 200 million people in one go. Yes, the odds are slim but the rewards are very high". Bianca Claxton is a 25 year old singer from Nottingham who has previously had chart success with girl group Parade. A classically trained soprano and cellist, Bianca supported the likes of Shakira and The Black Eyed Peas on tour in the UK. 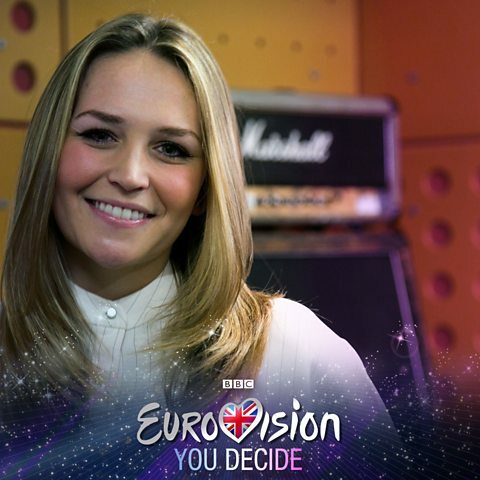 Participating in Eurovision: You Decide is a dream come true for Bianca who as a massive fan of the contest and has always harboured ambitions to represent the UK. Shine a Little Light is written by Biff Stannard and Leona Lewis. Bianca says "it's a song about when you're rock bottom… but however bad you're feeling there will be someone or something who will be able to make you smile." As well as touring with co-writer of Shine a Little Light, Leona Lewis, Bianca has performed backing vocals for Cher among others. Her career in music started as a child when she picked up the cello: "my family aren't remotely musical… but I just sort of took to it. I was in the National Children's Orchestra for a few years. I'm an only child but an orchestra is like a big dysfunctional family!" Country Pop duo Darline formed mid-2015, after being introduced to each other by Ben Earl, one half of UK country act The Shires. Cára Beth Beard (18) and Abby Inez (20) instantly clicked, through a love of Country and Rock music; The Eagles, Fleetwood Mac and contemporary country acts such as Lady Antebellum, Carrie Underwood, Kelsea Ballerini and of course Taylor Swift. After writing their first song together with two acoustic guitars and sharing their love of harmonies, the duo formed and Darline was born. The name inspired from a song by another Country duo The Civil Wars. The girls supported The Shires on their UK tour - playing their last date to a packed crowd at O2 Shepherd's Bush Empire, London on Cára's 18th birthday. Dulcima Showan aged 23 met songwriter Tomas Twyman aged 27 when they were both busking on the streets of Canterbury. They officially paired up when Tom asked Dulcima, a classical violinist, to sing at a music event he was organising. The pair have collaborated ever since, launching head-first into a folk-pop project called CoCo and the Butterfields which won them the UK Live and Unsigned competition. They've gained a big following on the folk scene in the UK, performing at Glastonbury, Bestival, Cambridge Folk and the Isle of Wight festivals. Tom penned the track When You Go for Eurovision: You Decide and the duo say the song is about having the courage and strength in the face of losing someone special. "Whether that be a break up, saying goodbye or losing a loved one, you can always find the light at the end of the tunnel. The song aims to help people feel better about those kind of situations!" 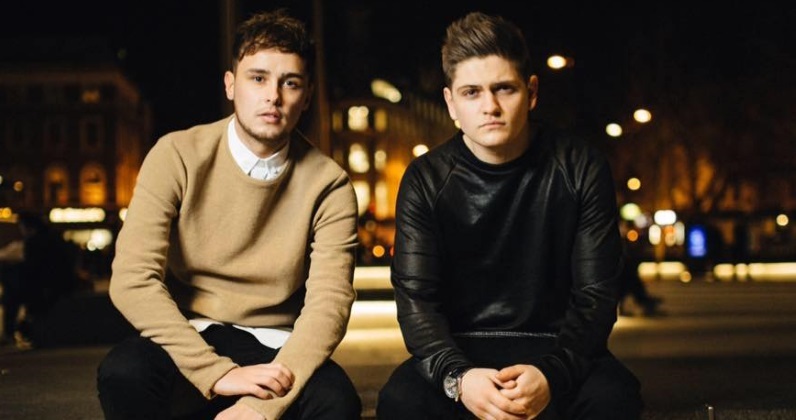 Joe Woolford and Jake Shakeshaft met during the 2015 series of The Voice UK. Jake was part of team will.i.am but lost out at the Battle rounds, whereas Joe was a finalist for Rita Ora's team. Jake aged 20 is from Stoke-on-Trent, whilst Joe aged 21 is from Ruthin, Wales. Since the show the two became firm friends and decided to pair up in order to enter Eurovision: You Decide. Joe said, "if we can represent Great Britain, that's massive for us. Singing You're Not Alone, we're trying to get the message across that we are together and unified as an act. We're very similar and the more time we spend with each other the more we get on." 29 year-old singer-songwriter Karl is from Liverpool and studied music at John Moores University. While there he taught himself to play the guitar... "I'm left handed, it was quite difficult! So I locked myself in a room until I learnt all the chords." Later he gained a following for his music by uploading tracks to YouTube. A cover of Beyonce's Halo was spotted by Ryan Seacrest and Karl was featured on the American Idol host's website. Karl first wrote Miracle in 2012 but revisited it when his brother-in-law was diagnosed with cancer. "Seeing him go through the chemotherapy with a smile on his face was inspiring, and he was the missing link to the song. He had a miraculous recovery and that caused me to come back to the song and rework it." Matthew James has previously had a brush with fame as part of nineties boyband Bad Boys Inc, and their hit single More To This World. To audition for the 90s hitmakers he remembers "singing Careless Whisper down the phone… and the next day I was in a spinning teacup in Alton Towers having my photo taken!". Matthew has continued singing for the last 15 years and more recently, by Royal Appointment with his band Madhen who played at Zara Phillips and Mike Tindall's wedding. On his song A Better Man, Matthew says "it's beautifully crafted. It speaks to me. It's about love, finding the right person, and I can see myself in the song. I got goosebumps the minute I heard it." A Better Man was recorded in Stockholm, and after Matthew spent time in this year's host city he appreciates how Sweden approach the contest: "I love how the whole country embraces Eurovision and I think its right that they take it seriously." Джо Вулфорд и Джейк Шейкшафт встретились в рамках проекта Голос Великобритании 2015. Джейк входил в состав команды will.i.am, но проиграл на стадии баттлов, а Джо стал одним из финалистов в команде Риты Оры. Джейку 20 лет и он родом из Сток-он-Трента, а Джо - 21 и он родом из Рутина, Уэльс. После окончания шоу они стали крепкими друзьями, и решили подать совместную заявку на участие в национальном отборе на Евровидении. Джо интересуется музыкой с 9 лет, и, происходя из музыкальной семьи, в которой члены выступали на международном уровне, он продолжает семейную традицию. Родной язык Джо - уэльсский, и он начинал свою музыкальную карьеру с пения в Уэльсском хоре. Его первым музыкальным вдохновением было творчество Тупака Амару Шакура, известного как '2Pac'. Это привело к тому, что Джо взял ручку и бумагу и стал писать тексты песен, которые обычно рассказывали о его собственных переживаниях в жизни. Джо начал читать рэп в возрасте 13-лет и прославился в своем городе как "Рэпер из Рутина". Он даже собрал достаточно большую фан-базу, и его часто останавливали на улицах для того, чтобы снять с ним сэлфи. Песни, которые он писал, имели ту же глубину и эмоции, с которыми себя мог соотнести каждый в сложные времена, в радости и печали. Однако, в какой-то момент он решил сменить амплуа рэппера на вокальную карьеру, одновременно с этим продолжая работать ассистентом в своей старой школе. Джо вышел в финал конкурса Открытый Микрофон и принял участие в шоу Голос 4 в команде Риты Оры, где смог пробиться в полуфинал. Джейк Шейшафт также принимал участие в Голосе 4, в составе команды will.i.am, но вылетел в первом-же баттле. Он играет на гитаре и поет с 2012 года, и дал свой первый концерт всего шесть месяцев спустя после того, как стал играть на гитаре. Джейк обучался Музыкальным технологиям в NULC и работал на полставки в ботаническом саду, но решил отложить и обучение и работу в сторону, и попробовать стать полноценным музыкантом. В августе 2014 года он стал финалистом в шоу Next Big Thing NUA Entertainments, которое проходило в The Cavern в Ливерпуле. Помимо написания собственных песен он также исполняет кавера на других артистов, таких как Эд Ширан, Oasis, The Artic Monkeys, Джейк Багг, The Stroke's, Нина Симон, Black Keys, Avicii и многих других. Джейк называет Эда Ширана причиной того, что он сам взял в руки гитару, и говорит, что именно его музыка сделала его артистом. За сценами Голоса, между парнями возникла настоящая дружба, которую скрепляли общая любовь к музыке, футбольному клубу Ливерпуль и сети ресторанов быстрого питания Nandos. У обоих исполнителей довольно эклетичный музыкальный вкус, и среди своих музыкальных влияний они называют Боба Марли, Монса Зельмерлёва и Rudimental. "Несмотря на то, что мы в общем-то были конкурентами на четвертой серии Голоса, мы очень быстро нашли общий язык. Мы стали работать, выступаит и писать вместе песни, потом мы нашли менеджера и стали искать возможность достичь прорыва как дуэт. Нам предложили идею участия в Евровидении, и, поскольку мы оба являемся его большими поклонниками, мы сразу же согласились на этот шанс!. Об их дружбе Дейк говорит: "Джо очень настоящий, щедрый, он всегда ставит интересы других выше собственных, и он забавный. Джо вторит ему: "Джейк очень вдохновленный, настоящий и честный. Если я где-то допускаю ошибки, он сразу же прямо мне об этом говорит. Опыт участия в Голосе сблизил нас как друзей, и мы сейчас работаем вместе и готовимся к совместному продолжению нашей карьеры". "Мы очень надеемся на то, что публика объединится вокруг нашей заявки. Представлять Британию на Евровидении - наша абсолютная мечта. Исполняя You're Not Alone, мы хотим передать универсальный месседж единения - важно иметь поддержку в то время, когда тебе это необходимо, и самому помогать другим в трудные времена. В нашей песне действительно сильный лейтмотив единства, что очень соответствует Евровидению! Мы очень похожи, и чем больше времени мы проводим друг с другом, тем больше ладим.". Песню "You're Not Alone" написал и спродюсировал Матт Шварц, автор хита Кайли Миноуг Timebomb. Комментатор Евровидения Грэм Нортон сказал, что на его взгляд "You Are Not Alone" - "по настоящему запоминающаяся поп песня", а певец Робби Уильямс отправил твит в поддержку ребят после их победы на национальном отборе, написав, что гордится ими. "Нельзя даже преувеличить значение того, что мы будем представлять Великобританию в самом крупном музыкальном конкурсе в истории. Для нас это - воплощение мечты. Влияние Евровидения - огромно, и оно затрагивает огромное количество поклонников по всему миру - потому, выступление на его сцене станет самым запоминающимся моментом в нашей карьере. Сносит крышу от одной только попытки представить, что на тебя будут смотреть миллионы человек. Мы с нетерпением ждем нашей поездки в Стокгольм и хотим ощутить эту атмосферу. Мы хотим, чтобы все гордились нами, несмотря на то, смотрят ли они конкурс дома, или болеют за нас из-за рубежа. Мы берем в качестве примера наших любимых артистов Евровидения Монса Зельмерлева и Лорен, и хотели бы, чтобы Великобритания также смогла покорить Евровидение. Пришло время нам снова стать кандидатами на победу в конкурсе, не так ли?" Телеканал BBC опубликовал официальные вопросы и ответы с членами британского дуэта. - Как образовался ваш дуэт? Джо: Мы встретились впервые, когда оба приняли участие в телешоу The Voice UK (Голос Великобритании). Мы познакомились за кулисами конкурса и хорошо поладили, так что после держались на связи и решили, что хотим организовать дуэт, так всё и началось. Джейк: У нас было несколько путей, наш менеджмент предложил попробовать прорваться на Евровидение и мы согласились. Хотя и особо задумываться не пришлось. - О чем ваша песня ‘You’re Not Alone’? Джейк: Наша песня - танцевальный гимн о единении и любви, что очень подходит девизу Евровидения этого года - Объединяйтесь. Джо: Она энергичная, веселая и о дружбе. Джо: Это прекрасный музыкальный вечер, мне очень понравилось прошлогоднее шоу. После того, как Монс выиграл, я купил его альбом, так что можете считать меня фанатом. Джейк: Мы оба фанаты этого шоу и всегда ими были. Если бы мы не поехали выступать на Евровидении, мы бы смотрели его дома с нашими семьями. Я большой фанат Лорен и хотя она выиграла в 2012м, её песня до сих пор звучит отовсюду и воспринимается свежо. - После победы на британском отборе в феврале вы занимались раскруткой своей песни не только в Великобритании, но и за рубежом. Что стало самым запоминающимся моментом вашего промо-тура? Джо: Всё было великолепно, но самый запоминающийся момент для меня - визит шоу Грэма Нортона. Быть приглашенным вместе с такими звездами как Мэрил Стрип и Хью Грант - это что-то невероятное! Джейк: Мы оба поклонники этого ток-шоу и смотрели его догие годы. Сидеть после выступления на диване и смеяться вместе с людьми такого уровня было потрясающе. В тот вечер мы в эфире попросили всех присылать нам селфи, чтобы они были включены в наш номер на Евровидении и сами сделали селфи с Хью грантом, Мерил Стрип, Кили Хоуз и Грэмом Нортоном, с ума сойти! - Встречали ли вы конкурсантов из других стран во время вашего промо-тура? Джо: Мы встретили многих конкурсантов и было интересно, как и посмотреть на их выступления, так и пообщаться вне сцены. В Евровидении интересно то, что легко забываешь о конкурсной сути мероприятия, так как все настроены очень дружелюбно. Джейк: Это правда, все были очень славными и мы рады, что получили возможность встретиться с конкурсантами до самого конкурса. - Евровидение - одно из самых популярных телесобытий в мире. Что для вас стало главным сюрпризом в вашем участии? Джо: Видеть, насколько преданно и страстно фанаты Евровидения относятся к конкурсу - невероятно. Они настолько привязаны к этому шоу, живут ради него. Джейк: Справедливо сказать, что трудно найти таких преданных фанатов. Они великолепны и очень помогают конкурсу быть воистину успешным. - Чем отличается участие в Евровидении от участия в британском Голосе? Джо: На Голосе ты представляешь лишь себя, а на Евровидении всю страну, так что в данном случае на твоих плечах лежит гораздо большая ответственность. Джейк: На Голосе всё идет по сценарию шоу талантов, всё более тщательно срежиссировано. В данном же случае ты ездишь по разным местам, встречаешь фанатов, посещаешь другие страны. У тебя появляется возможность познакомиться с разными людьми, культурами и это прекрасно. Джо: Еще одна чудесная отличительная черта Евровидении, что мы можем разделить этот опыт вдвоем. Мы хорошо ладим, можем смеяться над одними и теми же вещами. Поддерживать друг друга - здорово. - Вы встречались со многими людьми за это время, что на ваш взгляд стало лучшим советом, который вы получили? Джо: Лучшим советом стало ценить каждый момент и наслаждаться нашим опытом участия в Евровидении. Потрясающе осознавать, что наше участие в величайшем музыкальном шоу планеты войдет в историю. Джейк: Эмма Бантон посоветовала нам наслаждаться и заряжаться энергией публики. После отбора Катрина, которая выиграла Евровидение-1997, представляя Великобританию, сказала, что участие нам должно понравиться и мы созданы, чтобы пройти через всё это. - Существуют ли у вас какие-то ритуалы перед выходом на сцену? Джо: Мы прохаживаемся рядом и пытаемся превратить волнение в адреналин. Я очень суеверен, но не хочу рассказывать о своем суеверии, так как это принесет неудачу! Джейк: Мы всегда пытаемся развеселить друг друга перед выступлением, это помогает успокоиться! - Почему Евровидение важно для вас? Джо: Мы не можем недооценивать честь представлять Великобританию на грандиознейшем музыкальном конкурсе. Это будто сбывшаяся наяву мечта. Влияние Евровидения велико и касается фанатов по всему миру, выступить на этой сцене будет важным моментом в нашей карьере. Джейк: Тот факт, что мы будем выступать перед миллионами телезрителей, взрывает нам мозг. Мы не можем дождаться приезда в Стокгольм, чтобы самостоятельно прочувствовать всю эту атмосферу. BBC объявило планы эфиров конкурса Евровидение 2016. Так, полуфиналы конкурса выйдут в эфир на телеканале BBC Four с Мэл Гидройс и Скоттом Миллсом. "Я думаю, что в этом году мы отправляем на конкурс исполнителей, которые прекрасно соответствуют другим конкурсантам. Множество Европейских стран отправляет артистов из Голоса, или других реалити шоу, и потому на конкурсе множество молодых исполнителей. Если вы посмотрите на конкурсантов этого года - Франсу из Швеции 17, Франческе из Италии - 21. Мне кажется важно то, что мы отправляем также молодых конкурсантов. Их песня довольно запоминающаяся, и если смотреть на нее в общем контексте, то она не выглядит странно на общем фоне. Думаю, у нас есть шансы", говорит Скотт Миллс. На вопрос о своих фаворитах, Миллс добавляет: "Мне очень нравится Амир из Франции, мне кажется, что у него действительно сильная песня. С первого раза сложно поверить, но у Швеции очень запоминающаяся песня, и он выглядит, как шведский Джастин Бибер. Мне нравится Калиопи из Македонии. Она - настоящая звезда на Балканах, и у нее невероятно мощный голос. Песня на македонском языке, подпеть ей сложновато, но у нее очень сильный припев". Финал конкурса выйдет в эфир в субботу 14го мая в 20:00 местного времени на BBC One с комментарием Грэма Нортона. "Мне кажется хорошо, что именно зрители выбрали Джо и Джейка, теперь им не на что жаловаться, и они не смогут сказать "мы бы их никогда не послали", потому что именно они их и послали! Но, честно говоря, мне кажется, что публика справилась со своей задачей. Это достойная поп-песня и ребята заслуживают хорошего результата. Они очаровательные, хорошо выглядящие молодые парни, и, мне кажется, смогут собрать себе фан-базу за недели, оставшиеся до конкурса", говорит Нортон о британских конкурсантах. "Во время песни номер девять, когда будет выступать страна-организатор - Швеция, я попрошу всех зрителей поднять бокал в память Сэра Терри Уогана. Для тех, кто не знает, песня номер девять знаменита тем, что Уоган всегда предупреждал меня, чтобы я ничего не пил до этого момента шоу. Думаю, будет очень красиво, когда публика в зале будет болеть за своего собственного конкурсанта, а все зрители Британии присоединятся ко мне и вспомнят Сэра Терри Уогана", объясняет Грэм. Программа Кена Брюса выйдет в прямой эфир (9.30 утра) из Стокгольма, в ней примут участие гости, включая прошлогоднего победителя Монса Зельмерлева, и конкурсантов от Британии этого года Джо и Джейка. Падди О'Коннел оценит лучшие и худшие песни этого года. К Кену также присоединится посол Швеции в Британии Никола Класе, а двухкратный победитель Евровидения Джонни Логан отберет последние две песни в рубрике Песни моих лет. Это будут его две самые любимые песни Евровидения. Грэм Нортон будет вести свою программу в прямом эфире с 10 утра. Также в ней он пообщается с Джо и Джейком, а гостями программы в Лондоне станут шеф-повар Фил Викери и певица и актриса Беверли Найт. Последняя часть шоу "Let's ABBA Party" будет посвящена победителям Евровидения ABBA. Вечером этого дня Кен Брюс в прямом эфире будет комментировать финал Евровидения 2016 из Стокгольма. "Превосходно, что в этом году песню для Евровидения выбрали зрители - это выбор народа Великобритании. Это очень хорошо, что мы вернули им право отбирать песни для Евровидения. И они не выбрали нечто вычурное. Вы знаете, я очень доволен. Они ответственно отнеслись к задаче и выбрали прекрасную песню. Джо и Джейк молодые и харизматичные парни, с хорошей внешностью. И песня у них хорошая. Никто не может предугадать, как сложится голосование, но, по крайней мере, мы вложили множество усилий, и я не вижу причин, почему мы не можем добиться хорошего результата", говорит Кен Брюс. Вы можете стать участниками номера Джо и Джейка для Евровидения 2016. Телеканал BBC ждет ваши селфи с друзьями или членами семьи. Если вам повезет, ваше селфи может быть показано во время выступления представителей Великобритании на Globen Arena в Стокгольме. Убедитесь, что лицо каждого человека в селфи хорошо видно, и, если вы используете телефон, то помните, что принимаются только горизонтальные фотографии, снятые в ландшафтном формате. Отправляйте ваши селфи на eurovision@bbc.co.uk. Великобритания должна прекратить насмешки над Евровидением и выступить в полуфинале конкурса, чтобы получить шанс на победу, заявил продюсер конкурса Евровидение Кристер Бьоркман. По мнению Бьоркмана, участников этого года Джо и Джейка ждет такая же горестная участь, как и большинство представителей Великобритании со дня триумфа Катрины. Бьёркман считает, что насмешливый тон комментариев, сформированный покойным Терри Воганов и впоследствии принятый Грэмом Нортоном лишь способствуют отсутствию успехов Великобритании на этом мероприятии. Он призвал Великобританию, отказаться на время от своей гордости, отказаться от постоянного места в финале конкурса, и присоединиться к Молдове и Азербайджану в отборочных полуфиналах. Как Великобритания сможет победить на Евровидении? "Терри Воган был комментатором в течение 25 лет, и его тон всегда был насмешливым," говорит Бьёркман. "Теперь Грэм Нортон также сохранил этот легкомысленный тон. Это не работает. Намного проще, чем шутить, чем побеждать". Бьёркман прочитал лекцию о том, как Великобритании надо относиться к конкурсу Евровидение в Лондоне в преддверии премии Polar Music Prize, вручаемой в Стокгольме. Он отметил, что для победы важно, чтобы песня прозвучала предварительно в полуфинале. "Я могу понять, почему вы не рискуете пойти на этот шаг, но если вы посмотрите на песни, которые принимают участие в полуфиналах, то они привлекают к себе все большее и большее внимание на протяжении недели. Кончиту Вурст никто даже не упоминал в качестве одного из фаворитов конкурса до полуфинала, а потом она стала главной звездой - это только потому, что она показала себя до финала. И вам нужно сделать это". Соседское голосование не является причиной неудачи Британии, по мнению Бьоркмана. "Вы все это сами для себя придумали. Вы сейчас ведете себя как французы. Поверьте, мы вас любим. Мы все желаем вам успеха на конкурсе. Почему бы просто, для начала, не отправить на него хороший музыкальный материал?". "Вы должны заявить, "мы начинаем относиться к этому серьезно, и мы не прекратим попыток, пока мы не завоюем победу". Одним из вариантов достижения цели, по мнению Бьоркмана является создание национального отборочного конкурса, который должен возглавить Саймон Коуэлл, и который должен основываться на модели шведского национального отбора Мелодифестивален. По мнению Бьоркмана Британии в этом году удастся избежать нуля баллов. "Джо и Джейк обладают довольно неплохой песней, и сами они довольно обаятельны. Это - шаг в правильном направлении, но это не победный вариант. Если бы у вас была новая Катрина, тогда бы вы смогли повлиять на результат конкурса". Представители Великобритании на конкурсе этого года, Джо и Джейк подписали договор с лейблом Sony Music. 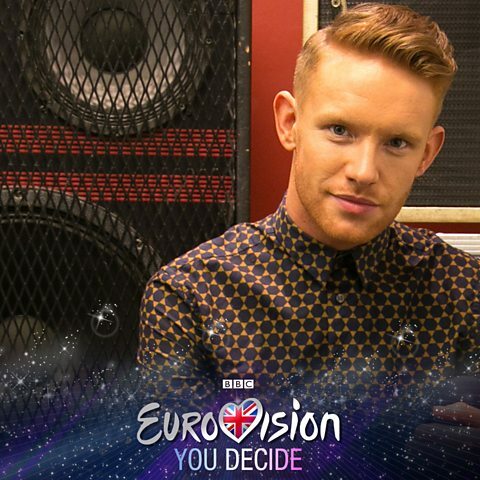 Дуэт стал победителем национального отборочного шоу BBC Eurovision: You Decide и исполнит песню You're Not Alone на финале конкурса Евровидение 2016 в Стокгольме, Швеция. Фил Сэвилл, управляющий директор Sony Music Commercial Group говорит: "Джо и Джейк - фантастически талантливые артисты, и You're Not Alone - выдающаяся песня, и потому не является сюрпризом то, что именно они были выбраны представить Великобританию в Стокгольме. Мы невероятно рады работать с ребятами над тем, чтобы сделать песню Великобритании на Евровидении этого года международным хитом и запустить карьеру этих потрясающих артистов". Joe и Jake говорят: "Мы невероятно рады подписать контракт с лейблом Sony. Все, что происходит с нами сейчас - это сбывшаяся мечта, и мы с нетерпением ждем минуты, когда мы выйдем на сцену Евровидения"
11 марта Джо и Джейк приняли участие в программе BBC 2 "Too Much TV" с Эммой Бантон и Аледом Джоунсом. Запись программы вы можете увидеть здесь. ESCKAZ пообщался с Монсом Зельмерлевом 26го февраля, когда он готовился к своему выступлению на Британском отборочном шоу: Eurovision: You Decide. Песня Великобритании для Евровидения 2016 была выбрана в рамках национального отбора Eurovision: You Decide, которое вышло в эфир телеканал BBC Four 26 февраля 2016 года. 30го сентября британский телеканал BBC представил формат, озаглавленный как "самый большой открытый поиск песни для Евровидения". Участие в нем было открыто для всех желающих. BBC пригласил всех желающих в возрасте от 18 лет (на 1 января 2016) предложить видеозапись исполнения потенциальной конкурсной песни для рассмотрения. Видео ролик не обязательно должен быть профессионально отснятым, и аудиозапись в нем может находиться на стадии демоверсии - но оно должно быть исполнено вживую артистом, который претендует на поездку в Стокгольм. Песни должны соответствовать основным правилам ЕВС, касающимся даты выпуска, длины и количества людей на сцене. Крайний срок приема заявок - пятница 20 ноября. BBC признает важность фан-сообщества, как элемента конкурса Евровидение. В связи с этим BBC пригласило британское отделение ОГАЕ для того, чтобы помочь в предварительном отборе песен для конкурса. Согласно информации, опубликованной президентом ОГАЕ Великобритании Алисдером Рендаллом, ОГАЕ приступило к своей задаче в конце ноября. Среди всех высказавших интерес членов была проведена жеребьевка, и был определен состав первоначального жюри из 45 человек, которые были разделены на 5 групп с учетом достижения необходимого разнообразия возрастов и мест жительства их участников. Этот состав жюри выбрал 25 лучших песен. Члены жюри не имеют права разглашать свое участие в жюри или детали оцениваемых ими заявок до полного завершения процесса отбора. Далее, был собран новый, отдельный состав жюри из 10 членов, который заслушал 25 лучших песен открытого отбора, и сократил их число до 10. На этом задача ОГАЕ была завершена. Алисдер Рендалл, президент ОГАЕ Великобритании, говорит: "Для меня огромная честь, и я с нетерпением жду этого момента, что членам ОГАЕ будет дана ключевая роль в помощи при выборе песни Великобритании на Евровидении 2016. Поклонники Евровидения никогда не стесняются открыто выражать свое мнение о выступлении Великобритании в самом величайшем музыкальном конкурсе мира, и потому я чрезвычайно раз возможности, которая предлагает нам помочь в поиске наиболее подходящей песни, для того, чтобы защитить цвета флага Великобритании в Стокгольме". Помимо того, Британская Академия Авторов песен BASCA также возобновила свое сотрудничество с BBC и проведет конкурс на написание песен среди своих членов. BASCA поддерживает и защищает профессиональные интересы авторов всех стилей музыки и отмечает и поощряет передовой опыт в британском музыкальном творчестве. BASCA отбирала своих кандидатов для Евровидения посредством The Great British Song Competition 2015 (правила). BASCA могло номинировать до трех песен на рассмотрение BBC и, как минимум, одна из них попадет в окончательный список финалистов BBC. BBC также консультировалось с экспертами музыкальной индустрии, включая продюсеров, менеджеров артистов и членов BPI. BPI (Британская ассоциация производителей фонограмм) - представительский орган британских рекорд-лейблов, и BRIT Awards Ltd, которая проводит ежегодное шоу BRIT Awards. Хью Голдсмит - бывший директор лейбла RCA, основатель Innocent Records, который принимал участие в становлении таких исполнителей, как Atomic Kitten, Billie Piper и Blue, стал музыкальным консультантом телеканала BBC, в основном отвечающим за связь с рекорд-лейблами, издателями, менеджерами, авторами и продюсерами, с целью поощрить участие в отборе также и представителей высшего уровня музыкальной индустрии. Вик Бейн, генеральный директор BASCA, говорит: "Это - потрясающий конкурс, в котором за последние годы множество из наших членов добились значительных успехов, поэтому BASCA обрадована вновь продолжить сотрудничество с телеканалом BBC над поиском песни Великобритании для Евровидения". Песни, полученные из всех этих источников были включены в итоговый шортлист, который будет представлен профессиональному жюри и публике, за которой в итоге останется последнее слово в определении того, какой артист получит право представить Великобританию на Евровидении 2016 в Швеции. Последним представителем Британии, отобранным голосованием телезрителей, был Джош Дубови в 2010 году. Грэм Нортон, комментатор Евровидения на BBC One: "Евровидение для меня - один из основных моментов года, и мне очень нравится то, что в этом году BBC запускает самый большой в истории поиск песни для конкурса. Я думаю, что это показывает, что мы действительно относимся к нему серьезно, а тот факт, что за зрителями остается последнее слово в выборе представителя Британии в Стокгольме - это еще одна дополнительная изюминка!" Хью Голдсмит, представитель музыкальной индустрии и музыкальный консультант BBC говорит: "Великобритания - дом для одних из самых лучших артистов и авторов песен мира на протяжении нескольких десятилетий, и очень увлекательно продвигаться вперед, думая об том, что наша песня для Евровидения может отразить тот необыкновенный музыкальный талант, что есть в нашей стране. Я всегда молился на музыкальном алтаре, и я с большой энергией принял на себя роль, предложенную мне телеканалом BBC"
Гай Фримен, редактор отдела специальных мероприятий телеканала BBC, говорит: "Действительно, это будет самый крупный проект отбора песни для Евровидения, что когда либо проводился в Британии. Свое мнение выскажут как фанатские организации, так и профессионалы из музыкальной индустрии, но в конце концов решение останется за всеми телезрителями - и мы хотим добиться всенародной поддержки для нашей конкурсной песни"
В этом году песня Британии для Евровидения была выбрана в рамках национального отбора, который вышел в эфир BBC. В рамках шоу Eurovision: You Decide выступили шесть исполнителей, которые постарались произвести наилучшее впечатление на телезрителей и профессионалов. Эксперты (в состав которых вошли певица Катрина Лесканич, педагог по вокалу и телеведущая Кэрри Грант, и режиссер-постановщик Джей Ревелл) также предложили свое мнение о том, как песни должны выглядеть и звучать на сцене Стокгольма. Однако, итоговое решение оставалось за телезрителями, которые и определили победителя при помощи телефонного и интернет голосования. Соведущая The Great British Bake Off Мэл Гидройс стала ведущей 90-минутного шоу, которое вышло в эфир из o2 Forum Kentish Town (вместимостью в 2300 зрителей) 26го февраля в 22:30 Москвы. "Я большая поклонница Евровидения, и для меня большая честь стать ведущей этого фантастического мероприятия", говорит она. "Абсолютно замечательно, что публика Великобритании снова получит шанс выбрать того артиста, что станет представителем нашей страны в Швеции, и я уверена, что это будет потрясающий вечер". Национальный отбор стал первым эфиром Евровидения на телеканале BBC Four, собрав 678,900 зрителей (средний показатель канала в этот временной отрезок - 167,000), который также будет транслировать полуфиналы конкурса 2016 года в прямом эфире из Стокгольма 10го и 12го мая, поскольку канал, ранее транслировавший полуфиналы конкурса BBC Three, 16го февраля закрывает эфирное вещание и переходит онлайн. Финал Евровидения, как обычно, выйдет в эфир BBC One 14го мая. Касьян Харрисон, редактор телеканала BBC Four, говорит: "Я невероятно рад тому, что "Евровидение: Вы выбираете" и оба полуфинала конкурса выйдут в эфир на нашем канале. BBC Four - самый музыкальный телеканал Великобритании, и как любой фанат конкурса скажет вам, Евровидение - это одно из величайших музыкальных мероприятий на планете, и представляет собой гораздо больший феномен, нежели просто один вечер на ТВ, потому единственно верным решением после закрытия BBC Three было перенести эфир самого популярного музыкального шоу Европы в Великобритании на наш канал"
Участвующие песни впервые прозвучали по радио 22го февраля в программе Кена Брюса на BBC Radio 2, вы можете прослушать их здесь. В Eurovision: You Decide также выступили специальные музыкальные гости: победитель Евровидения 2015 Монс Зельмерлев и победительница 1997 года Катрина. Билеты на концерт также поступили в продажу 22го января в 10 утра на сайте BBC Eurovision. Продюсерами Eurovision: You Decide стали Гай Фримен и Хелен Ридделл. В интервью Newsbeat, Гай Фримэн, глава делегации Великобритании на Евровидении, заявил: "Мы должны пересмотреть свой взгляд на Евровидение". Евровидение всегда должно быть веселым мероприятием, но "пришло время серьезно заняться вопросом поиска песни и ее исполнителя". Несмотя на последние результаты Великобритании на Евровидении, когда о конкурсантах шутили, что у них нет ни малейшего шанса на победу, Гай говорит, что он "безнадежно" желает новой победы Британии. Гай не верит в том, что музыкальная индустрия страны со снобизмом относится к участию в Евровидении. "Оно предоставляет платформу показать свою песню одновременно 200 миллионам телезрителей. Да, шансы на победу малы, но и награда весьма велика". Бьянка Клакстон - 25-летняя певица из Ноттингема, которая ранее добивалась успеха в национальных чартах в составе группы Parade. Получившая классическое образование сопрано и виолончелистки, Бьянка как певица выступала на разогреве у таких исполнителей как Шакира или The Black Eyed Peas во время их тура в Великобритании. Участие в национальном отборе на Евровидение - воплощение мечты для Бьянки, которая является большой поклонницей конкурса и всегда мечтала о том, чтобы представить на нем Британию. Песню Shine A Little Light написали Бифф Станнард и Леона Льюис. Бьянка говорит: "Это песня о том, когда ты падаешь так низко, что уже кажется, что ниже некуда... однако, как бы ты плохо себя не чувствовал в этот момент, все равно найдется кто-то или что-то, что заставит тебя улыбнуться". Помимо выступлений вместе с соавтором песни Леоной Льюис, Бьянка исполняла бэк-вокалы для Шер и других исполнителей. Ее карьера в музыке началась с игры на виолончели в детстве: "моя семья даже отдаленно не была музыкальной... но я сама выступала в детском национальном оркестре несколько лет", рассказывает она. Кантри-поп дуэт Darline был основан в середине 2015 года, после того, как его участников познакомил друг с другом Бен Ирл, участник кантри группы The Shires. 18-летняя Кара Бет Берд и 20-летняя Абби Инез сразу же совпали друг с другом, благодаря своей любви к кантри и рок-музыке, The Eagles, Fleetwood Mac и современным кантри исполнителям, таким как Lady Antebellum, Кэрри Андервуд, Келси Баллерини, и, конечно же, Тэйлор Свифт. После написания их первой совместной песни, при помощи двух гитар и общей любви к гармониям, девушки решили основать постоянно действующий дуэт. Его название Darline было вдохновлено песней еще одного дуэта - The Civil Wars. Девушки выступали на разогреве у группы The Shires во время их турне по Великобритании - в том числе выступив в переполненном зале O2 Shepherd's Bush Empire в Лондоне на 18й день рождения Кары. 23-летняя Дульцима Шоуэн познакомилась с 27-летним композитором Томасом Тваймэном, когда они оба выступали на улицах Кэнтербери. Позднее том предложил Дульциме, которая получила классическое образование игры на скрипке, выступить на музыкальном мероприятии, которое он организовывал. С того момента они постоянно сотрудничают друг с другом, запустив фолк-поп проект CoCo and the Butterfields, с которым одержали победу на конкурсе UK Live and Unsigned. Группа набрала множество поклонников на фолк-сцене Британии, выступая на фестивалях Glastonbury, Bestival, Cambridge Folk и Isle of Wight. Том написал песню When You Go специально для Евровидения, и дуэт говорит о том, что их песня рассказывает о храбрости и силе при потере кого-то близкого. "Разрыв ли это отношений, прощание или потеря любимого, всегда можно найти свет в конце туннеля. Песня нацелена на то, чтобы помочь людям почувствовать себя лучше в подобных ситуациях"
Джо Вулфорд и Джейк Шейкшафт встретились в рамках проекта Голос Великобритании 2015. Джейк входил в состав команды will.i.am, но проиграл на стадии баттлов, а Джо стал одним из финалистов в команде Риты Оры. Джейку 20 лет и он родом из Сток-он-Трента, а Джо - 21 и он родом из Рутина, Уэльс. После окончания шоу они стали крепкими друзьями, и решили подать совместную заявку на участие в национальном отборе на Евровидении. Джо говорит: "если мы получим возможность представить Великобританию, то это будет огромным достижением для нас. Исполняя песню You're Not Alone, мы стараемся передать месседж о том, что мы вместе и едины. Мы очень похожи, и чем больше времени мы проводим друг с другом, тем больше ладим." 29-летний певец и автор песен Карл из Ливерпуля изучал музыку в университете Джона Муреса. В то же время он занимался самообучением игры на гитаре. "Я - левша, и потому это было несколько сложно! Я запирался в комнате, пока не выучу все аккорды". Позднее, он стал привлекать внимание слушателей, публикуя песни на Youtube. Кавер-версия песни Halo Бейонс была замечена Райаном Сикрестом, и о Карле написал сайт ведущего шоу American Idol. Карл написал первую версию Miracle в 2012 году, но переделал ее, когда у его шурина диагностировали рак. "Видя то, как он проходит химиотерапию с улыбкой на лице, было очень вдохновляюще для меня, и стало именно тем связующим моментом, которого не хватало песне ранее. Он волшебным образом смог исцелиться, и это подвигло меня на переработку песни." Мэттью Джеймс ранее входил в состав известной группы 90х Bad Boys Inc, запомнившейся по синглу More To This World. Мэттью продолжил петь последние 15 лет, и недавно вместе со своей группой Madhen выступил на свадьбе Зары Филлипс и Майка Тиндэлла. О своей песней A Better Man Мэттью говорит "она весьма искусно создана. Она говорит о многом: о любви, поиске правильного человека, и я могу видеть в ней свое собственное отражение. У меня пошли мурашки по коже в тот день, когда я ее услышал." A Better Man была записана в Стокгольме, и после того, как Мэттью побывал в столице Евровидения 2016, он отмечает особую любовь Швеции к конкурсу: "Мне очень нравится то, как вся страна любит Евровидение, и я думаю, что это правильно, что они воспринимают участие в нем настолько серьезно"
(J&J) You're not alone we're in this together, all that you want, is right here forever and they don't need to know - they don't need to know. И они не должны знать.